Omlet’s brand new range of covers are perfect for providing your chickens with the ultimate protection from British weather. Choose from the Heavy Duty Covers, which will also give your hens shade from the sun, or the Clear Covers, which will allow the sunlight through whilst protecting from rain. 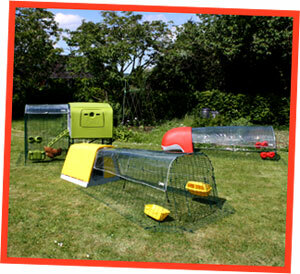 There are 14 different types of cover available, so whether you have an Eglu Go, Classic, Cube or Walk in Run, you will find something that suits you and your chickens. Click here to see the range now! Get 5% off our New Covers for 2 days only!